At the CarpetCleanerMachinesReviews.com website, we strive to provide the best source of information on carpet cleaners for home use. 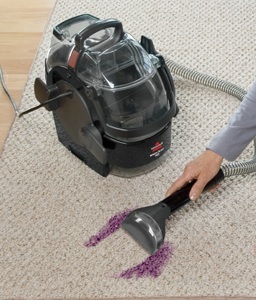 This includes both both regular and commercial grade home carpet shampooers that are purchased for domestic use. Keeping our carpets clean is a major concern for many, and especially so for pet owners or parents with young children. Most of us don’t realize how easy and affordable it is to purchase a machine that we can keep around the house. Many rely on renting rug machines at the local grocery store, or engage professional cleaning services. While these are viable choices, at some point, we may realize that having a home carpet cleaner means more convenience and control in getting rid of nasty carpet stains. There are lots of carpet cleaning machines in the marketplace today. We hope to provide useful reviews that allow our readers to make the best decision on their purchase. 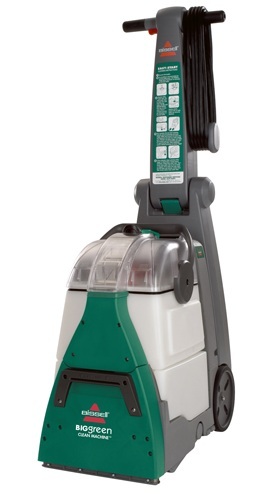 The Carpet Cleaning Machines Reviews site has been designed with the end-user in mind. We offer detailed reviews and comparisons of popular machines from top brand names like Hoover, Bissell and the Rug Doctor. In addition, the site also includes articles and tips on using carpet cleaning and how to maximize the use of a carpet cleaning machine. On this website, we display affiliate advertising links through the Amazon.com, Walmart and other programs. We also display Google Adsense advertising. Please see our Advertising Disclosure. Thank you for visiting our website today. If there is any particular machine that you like to see reviewed, please leave us a comment or send us an email. We wish you the best in finding the best carpet cleaning machine for your needs. Should you have any feedback on any particular brand or carpet cleaner model, or like to see reviews on particular brands or machine models, please feel free to contact us. You can leave us a comment or write us via email. Your comments will help us and other interested readers understand a particular carpet cleaner machine or carpet cleaning method better. Thank you.